Summer in the south means farmer’s markets and fresh produce. As a kid, I loved fresh fruit and veggies more than just about anything, even candy. The Chattanooga and North Georgia areas are home to many family farms that supply restaurants and markets with some of the best tasting foods and summer is the height of production. If you are looking for fresh produce, you can get it straight from the farmer just about everyday. Main Street was the main thoroughfare to market during the 1900’s in Chattanooga. Every Wednesday you can get fresh meat, produce, honey and cheese. Run by farmers, this is the original weekly farmer’s markets. You can join the mailing list on the website and get weekly updates (they are entertaining as well) so you know what to expect. 4-6 pm 522 W Main Street. My mother-in-law swears this is the only “real” farmers market in the area. I think it is because she gets some truly delicious Georgia peaches each year. Held every Saturday from 9am-1pm, this market draws crowds looking for fresh produce, homemade goods and more. Look for fresh green beans, tomatoes and of course those Georgia peaches. 220 Catoosa Circle. Friday night seems like a great time to shop a farmers market. The weekend is ahead, with plans and fun and fresh produce for the weekend takes it to 11. Every Friday from 6-9 you can shop local vendors, have a glass of something cold and hear some live musis all in the beautiful Cambridge Square complex in Ooltewah. 9453 Bradmore Lane. The big daddy market of them all, with many baby markets that have sprouted up all over the city. 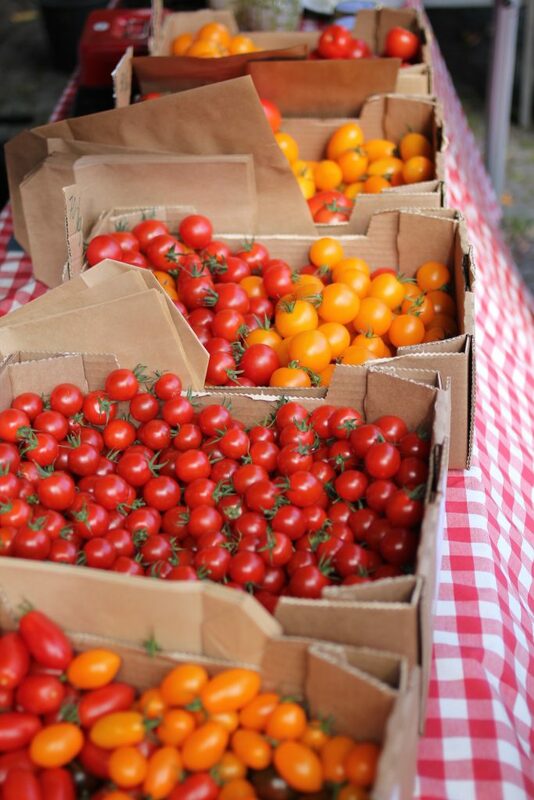 The Sunday Chattanooga Market is one of the top rated farmers markets in the United States. Located in the heart of the southside, the market draws thousands each Sunday. With themed weeks, live music, food trucks, vendors and of course farmers, you can spend the day enjoying everything the market has to offer. 11-4 Sundays from Easter- Thanksgiving. 1829 Reggie White Blvd.